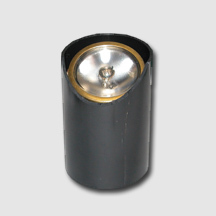 The TLP36W Low Voltage Well Light was designed as a low profile in-ground incandescent well light. It can stand up to the corrosive forces of water, soil, and time. Safety grills are available for a pleasing finish and safety. The fixture made from stamped brass and copper with stainless steel hardware. Single piece black ABS mounting sleeve with angle cut comes standard. Comes with 3’ of 18-2 low voltage wire and a low voltage connector. The lamp can be rotated 360° and can be tilted up to 45° from vertical. It can be used with up to 50W PAR36 Incandescent lamps. Spring loaded clips allow for easy lamp replacement. They are designed to be operated with a standard 12V transformer. The TLP PAR36 Well Light is an in-ground fixture and should be installed with back fill according to the Techlight installation instructions. Provides excellent water drainage when installed on on a gravel bed. Comes with 3’ of 18-2 low voltage wire. Gelpak provided for conduit installation.